Bo is starting preschool this fall, and at the age of 3 1/2, she doesn’t know much of what preschoolers are “supposed” to know. This doesn’t bother me, since we’re following along with the Finnish model of school, but she has shown interest in learning a few things, like her colors. 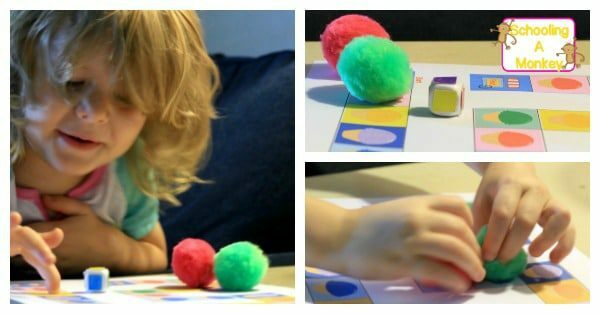 This week, I make this printable preschool ice cream game to help her learn color identification. 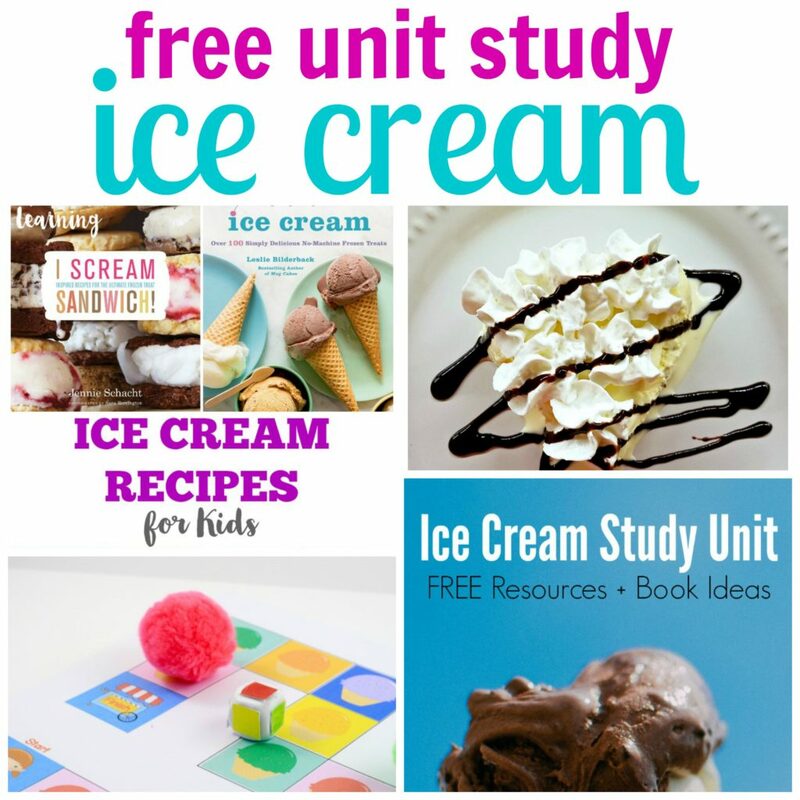 Add this game into your thematic units for ice cream! While you are here, take a minute to check out our other no-prep totschooling activities! 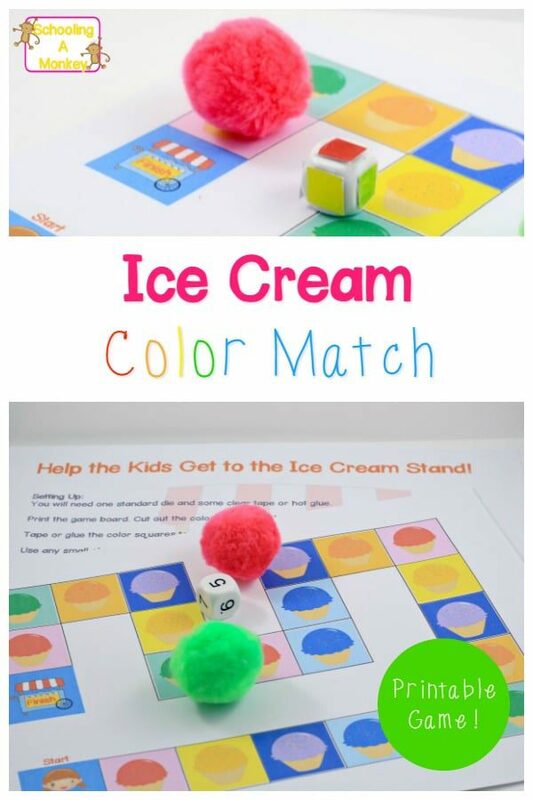 This printable ice cream shop game is a fun way to teach preschoolers how to learn colors. 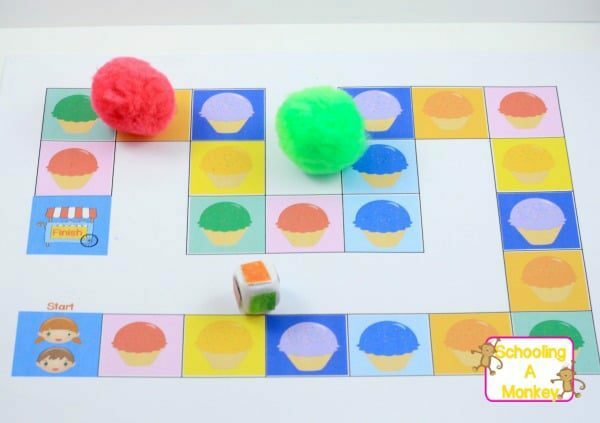 Print the printable ice cream game board onto cardstock paper. Cut out the squares and use hot glue to stick one color square on each side of a standard six-sided die. Gather a pom pom (or other small object) to act as a game piece for each player. 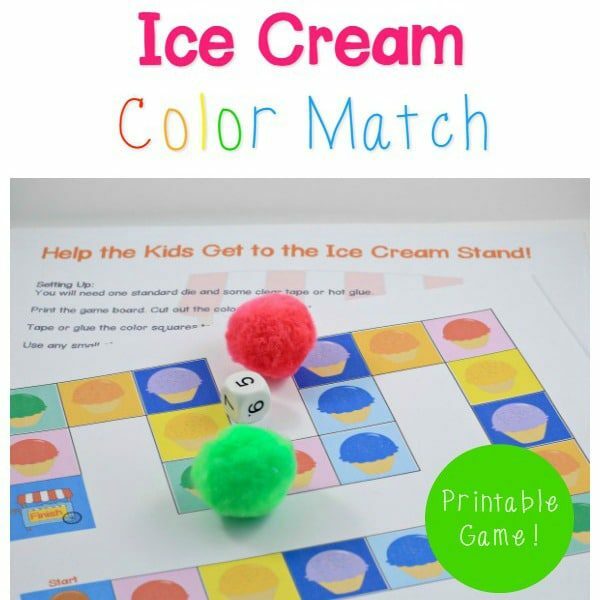 Download the color-match ice cream game here! Roll the die. Whatever color is rolled, move your game piece to the next ice cream cup holding that color of ice cream. Play continues until someone reaches the finish line and the ice cream cart! You cannot move to the finish line unless you roll the color of the very last ice cream cone (red). The first person to the cart wins. This was a fun way to teach colors to toddlers. Bo wanted to play the ice cream color game over and over.